MALAWI STAFF | Roz Heyns | Alabaster Ministries Inc.
Francis joined us towards the end of 2015 and will be handling the administration for the ministry as well as being a liaison between the local pastors and the leadership of Alabaster. 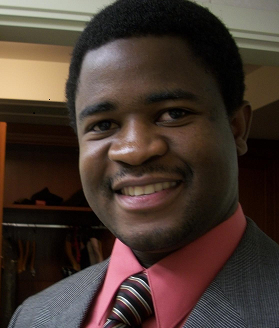 He is Malawian and attended university in the United States for a number of years so speaks and writes English very well and thinks outside of the box. In fact all of our staff do. They make unilateral decisions and then come and tell us what it is they would like to do. We like that and are fully prepared to support it especially when it deals with holding crusades or prayer meetings. Our elderly fall under numerous villages over which are many pastors from varying denominations. We are a non denominational organization and anyone who is in desperate need of help may be included in the program. Between Francis and Peter they decide which are the most needy. We try to turn no-one away which is sometimes very difficult as we are a small ministry and we already have over 400 that we care for. Since Francis has been with us the ministry has been moving forward like a well oiled machine. I know his family and they all support the fact that he is working with us. Francis can preach, unlike his predecessors which is a great blessing. The added bonus is that he already loves the elderly and enjoys the Lower Shire Valley weather. I manage down there only because God gives me the grace to do so! Peter also joined us last year. I have known him for a number of years and always wanted him to work with us but thought that he was being groomed to one day take over his father’s church. He comes with a wife and three boys and has moved from the mountains of Chididi to Tengani. This is an enormous move for them and we are blessed that they would sacrifice their beautiful and prosperous mountain village for the unrelenting heat and barrenness of the Tengani area. He is a wonderful praise and worship leader and also a preacher. 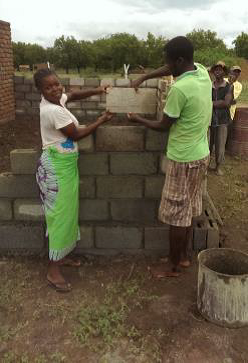 His father and mother pastor and oversee our work in Chididi. He will be responsible for pastoring the elderly. That will entail going from village to village to visit them in their homes and to have Bible studies and prayer meetings with them. We recently purchased a 150 cc dirt bike for him which will enable him to get around much more easily. He was trained in the things of God by sitting at his father’s feet and being discipled by him and in addition to that he also attends the Bible School with Pentecostal A/G Canada. There is a school across the road from our property and it will be ideal for Peter’s sons to attend there. We have just completed his house on the property and are gradually furnishing it.